Not much of a photo for today. More of a snapshot really, but it was all I had. We traveled back from Southern Utah. On this trip the kids earned two Junior Ranger badges. We try to do the Junior Ranger program at all the National Parks that we visit. Some state parks even have the program. We bought the vests to sew on the Junior Ranger patches and pin on the badges. 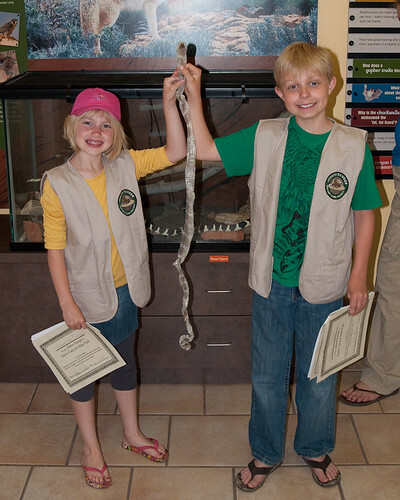 They are holding the recently shedded skin of the snake behind them. 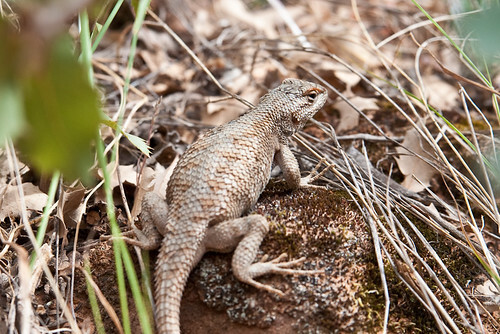 We went to Zions National Park and saw a lot of wildlife. It was hard to decided which photo to use, but I liked the DOF and the environment of this one. Taken with the iPhone Camera. We decided to extend our vacation a few days, so we had to get some laundry done. 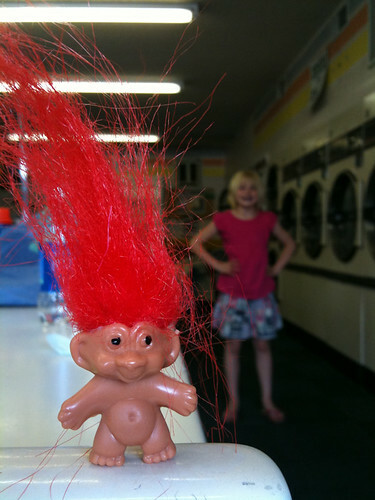 We spent part of Memorial Day in a Laundromat. I decided on a scenic photo for today. We spent some time today on a beach at a near by reservoir, but non of the photos from that mini adventure seemed right. 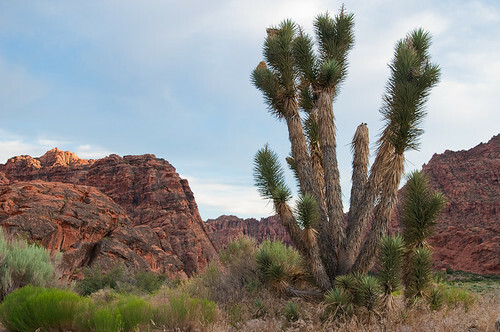 And so I give to you, Snow Canyon State Park. It was named Snow canyon, not because of the white stuff, but after the name of an individual.